Non-professional’s mistake: Should’ve have placed something beside the pebbles to show how big they really are. 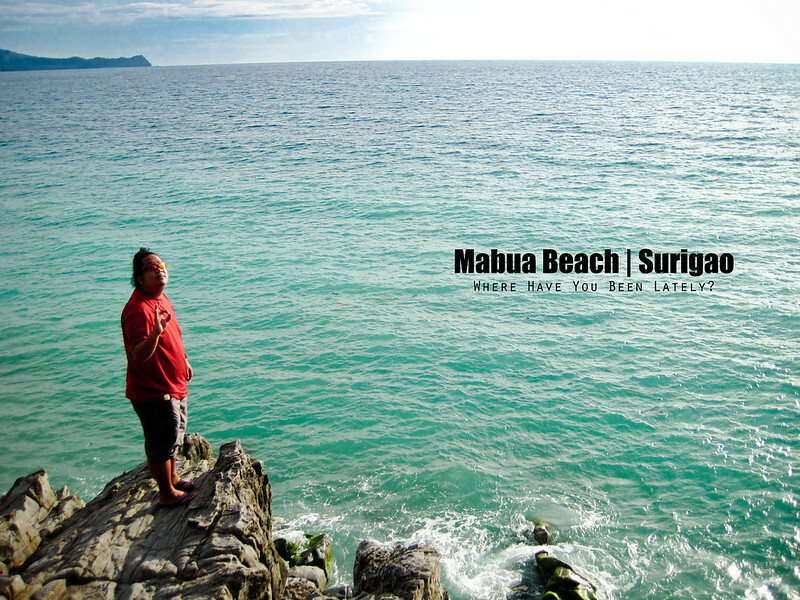 I first knew of Mabua Beach from the blog post of Marky of Nomadic Experiences. 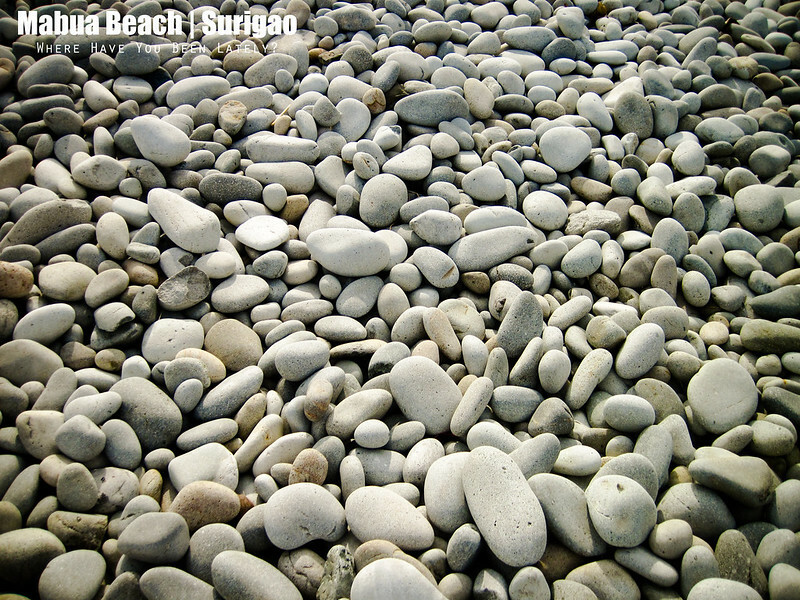 So when I booked flights to Surigao to visit Siargao, I, without second thoughts, included the famous pebble beach in our itinerary. What made it unique from any other beach? Its pebbles—pebbles that are bigger than my 6-inch feet! I was in awe upon seeing the beach and felt that my jaw almost dropped because of the amazing scenery. I imagined I was Crush the turtle in Finding Nemo when he found Marlin barely escaping death from the stings of thousand jellyfish. Saw the whole thing, dude. First you were all like “whoa”, and we were like “whoa”, and you were like “whoa…” I am not exaggerating. It’s true. Not all beautiful beaches are made up of powdery white sand and crystal-clear water, not the Boracay-ish type. The waves were tolerable for safe swimming when we went there. The tourists were almost zero which made it a lot better. This beach is all right from being abused by irresponsible travelers in the next, I say, twenty years or more despite its location being in the very heart of Surigao City. 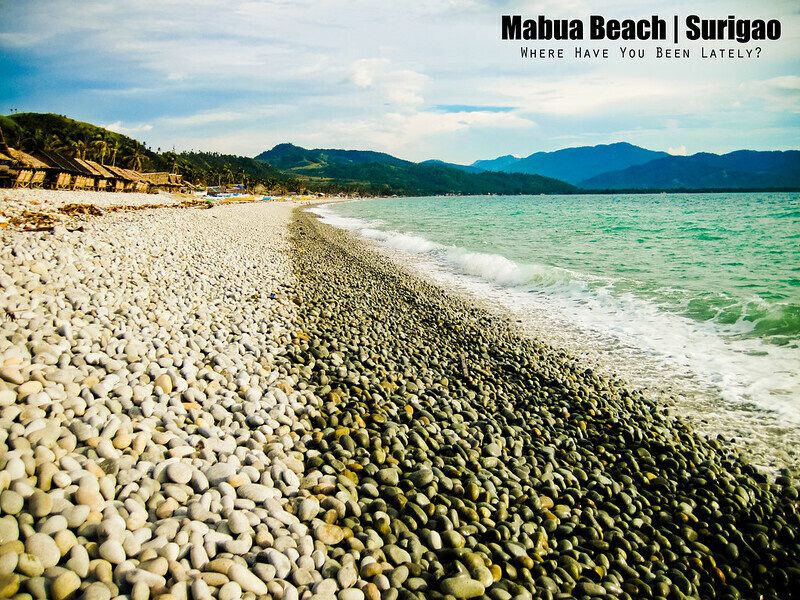 The three shades of Mabua Beach. If the beauty of the beach is still not enough for you to appreciate it, at the far end of the stretch of the shoreline is a hill that gives you a panoramic and an even better view of the area. 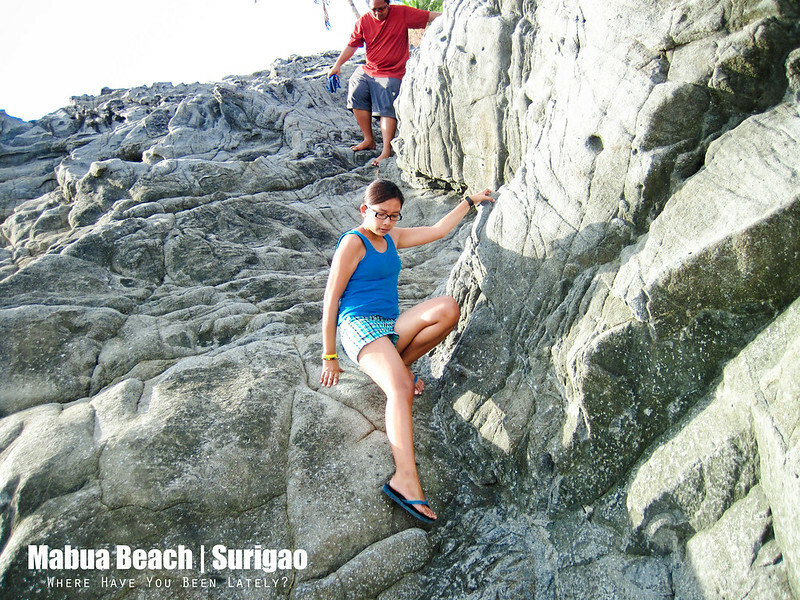 It’s easy to reach and wouldn’t require knowledge of mountaineering so I suggest you go and do a quick climb when visiting Mabua Beach. You can rent cottages in the area if you intend to burn a hefty amount of time in the beach. 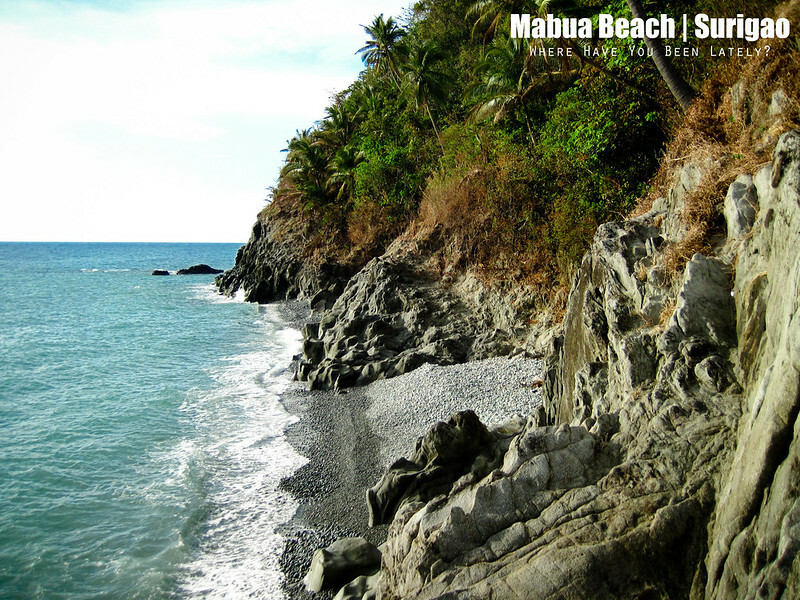 For those who want to spend the night in Mabua Beach, there are lodges and inns just in front of the beach that can accommodate those who want to witness the stunning sunrise or sunset in the area. That’s Rowjie and the view of the beach from the hill. On a different note, I couldn’t recall what website but I’ve read somewhere that fare from the city proper of Surigao to Mabua Beach should not be beyond Php 50. All of the drivers we asked shook their heads when I insisted that we could only pay not more than Php 50. 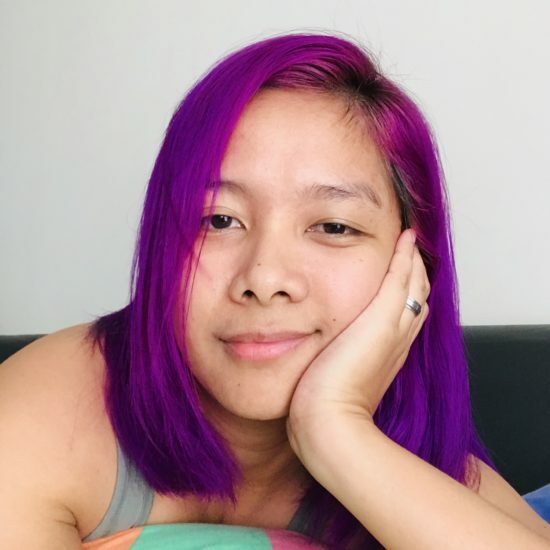 It took us an hour to finally agree on paying Php 200 for a roundtrip transfer because we couldn’t get a tricycle that would take us to the beach with the amount we wanted to pay. The beach was, we learned, was 20-minute away (without much traffic) from the city. Scene from the other side of the beach. TIP Wear an aqua shoes or something similar to it as walking in the shoreline in flops let alone barefoot is like being condemned to eternal damnation especially when the sun is at its peak. Now, please excuse me as I must rewrite the title of this entry into An Immeasurable Happiness in Pebble Beach.